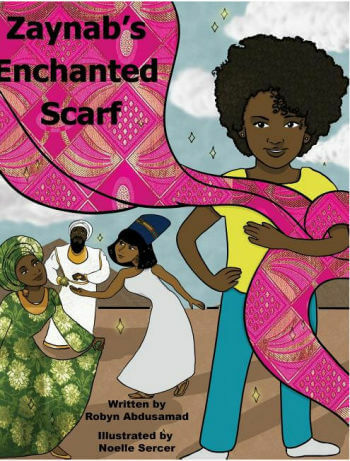 Zaynab's Enchanted Scarf - Zaynab's Enchanted Scarf teaches young readers about the historical contributions of Africans and African-Americans with beautiful illustrations that reflect the modernization of today as well as the past. Join Zaynab on a magical trip where she finds the courage and strength to find her way home. In this book, which is part of a series, little Zaynab travels to Africa to meet Queen Amina, Mansa Musa and Egyptian Royalty Ramses and Nefertiti. Robyn Saleem-Abdusamad is a published author of three children books: "Wahid and His Special Friend," "You Are Beautiful" and "Zaynab's Enchanted Scarf". Fall in love with history and Zaynab as she learns all about history with her enchanted scarf.